Product prices and availability are accurate as of 2019-04-19 17:06:04 EDT and are subject to change. Any price and availability information displayed on http://www.amazon.com/ at the time of purchase will apply to the purchase of this product. 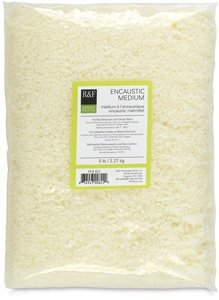 R&F Encaustic Medium 5-pounds is encaustic paint without the pigment. It is used to extend colors in order to create transparencies. The damar in this medium helps prevent blooming and maintain the hardness of the film. R&F Encaustic paint is composed of 100% pure pharmaceutical grade beeswax, Singapore-grade damar resin and chemically pure pigments. Beeswax is impervious to moisture making encaustic paint extremely durable. There is no need to varnish or protect your painting with glass. It will not deteriorate, yellow or darken. Encaustic paint is kept molten on a heated palette. It is then applied to an absorbent surface and is fused to create a variety of effects. 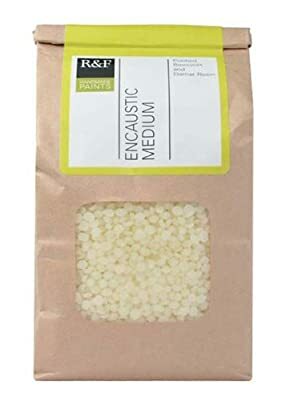 Encaustic goes from a liquid to solid state and back again in seconds giving you the opportunity to add layers without disrupting your composition. Once the surface has cooled, the paint has reached a permanent finish, but with heat, you can revise and rework your painting minutes or years later! This highly versatile medium can be polished to a high gloss, carved, scraped, layered, collaged, dipped, cast, modeled, sculpted, textured and combined with oil. 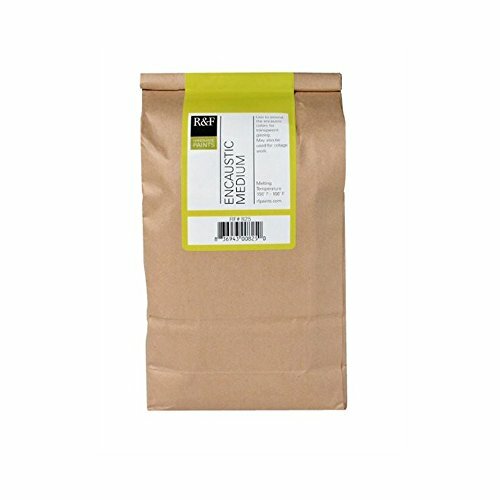 Handmade in the usa Available in 1-pounds, 5-pounds and 10-pounds bags Composed of 100% pure pharmaceutical grade beeswax, singapore-grade damar resin and chemically pure pigments Conforms to ASTM D-4236 Avoid overheating this product. wax will release toxic fumes when heated above decomposition temperature. do not heat above 200-degrees fahrenheit. use with ventilation.